Why are ASIC rejecting accountants' AFSL applications? After the accountants’ exemption expires on 30 June 2016 accountants must be appropriately trained and authorised to continue to give SMSF advice – this we know. 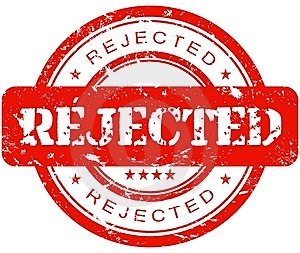 Over half of the AFSL applications have been rejected by ASIC – this we now know. Applying for an AFSL is complex – this you will discover if you chose this path. The alternative, which is far less expensive upfront and ongoing, is joining finance wise as a limited authorised representative. The reason ASIC are rejecting the proposals revolve around three key areas; the application, the core-proofs and the non-core proofs. The application and supporting directions from ASIC are confusing and it will be difficult to document compliance and risk management systems. Remembering that many financial advisers have successfully obtained licenses perhaps their experience will assist. The most common solution is to appoint a third party with expertise to do it. This costs in the order of $20,000. So, if advisers who are in the system outsource the task maybe accountants should too. In addition accountants applying for a license must supply core proofs. These proofs needs to follow a prescribed format. If the proofs are acceptable but the format is not the application will be rejected. The same applies for non-core proofs. In short, without expertise to assist in the application process it is unlikely an application to manage the requirements after the accountants’ exemption expires will be successful. It will cost money and take time and that’s just the beginning. The costs alone to manage the license can be up to 5 times more than the application itself and accountants will also be directly responsible for client liability. In our next article we will review what happens at 9.00am on July 1st when your first prospect is sitting in your waiting area. Register your interest in becoming a Limited Authorised Representative of finance wise.